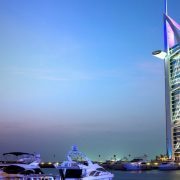 A highlight of Dubai is its great modern architectural buildings, fabulous shopping malls, from modern designer shopping centers, wide range of water-sports, indoor snow-skiing, world championship golf courses and exciting desert adventures. 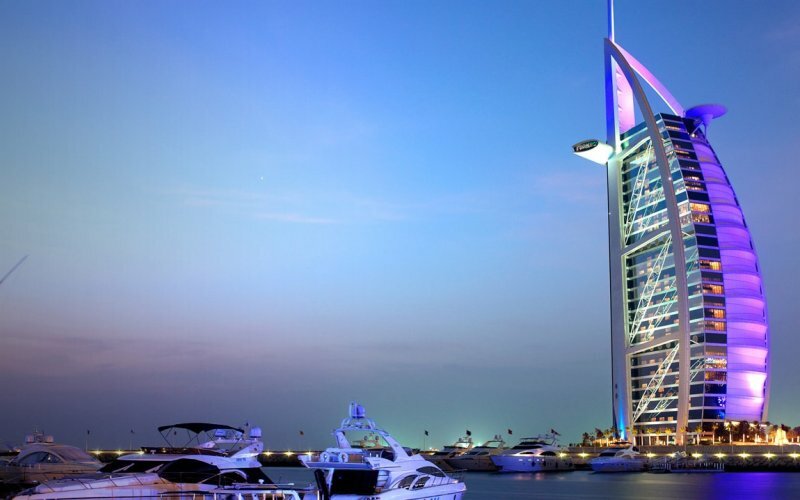 With exceptional and superb hotels, it is easy to see why Dubai has emerged as a popular tourist destination year round. Arrive Dubai. You will be met by our representatives at the airport who will transfer you to the hotel. Spend the rest of the day relaxing at own leisure. 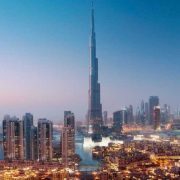 In the morning after breakfast 0900hrs our reps will take you for a fascinating historical excursion – as you discover the past, present and future of the Dubai city on a 4 hour tour. Firstly, stop at the Dubai Museum followed by boarding the water taxi or ‘Abra’ which will take you the other side of the Creek also known as Deira where you can shop and view the amazing Spice Souk and Gold Souk. Capture the tall towers which stand proud depicting the posh and luxurious lifestyle of the people of the country, which include Burj Al Arab – a hotel built on an artificially made island, Jumeirah Mosque – the only mosque which allows non-Muslims to enter The world tallest building – The Burj Khalifa Sheikhs (Ruler) Palace – a stunning view where you shall be welcomed by a mesmerizing sight of peacocks. Jumeriah beach, the palm city island, the atlantis hotel. 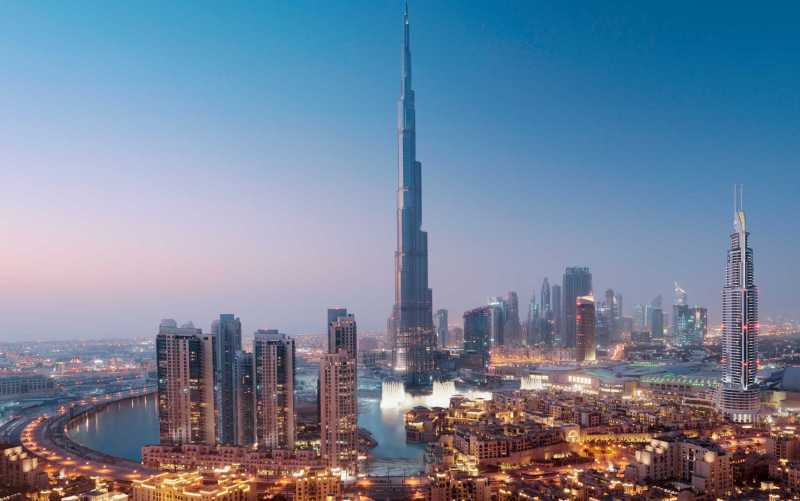 Next head towards the Bur Dubai and Deira Dubai to experience the history and tradition of the country and view the building which have stood the test of time. In the morning after breakfast spend the morning relaxing at the poolside or the room. 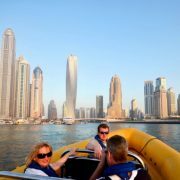 Alternatively you may go out shopping or visit the Atlantis or wild wadi water park at own cost. 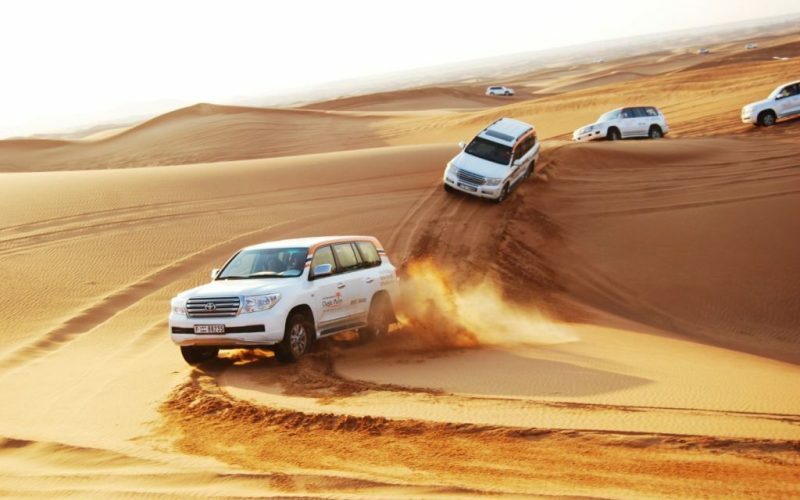 In the afternoon 15.30hrs our representatives will take you for the mysterious desert safari for a magical evening out – an adventure you’ll never forget. 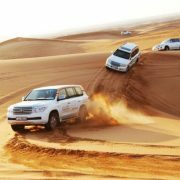 Leaving behind the bustle of the city in the afternoon, our safari guides will transport you, by four-wheel drive vehicles, for a thrilling journey over rolling dunes through the Dubai Desert Conservation Reserve, deep into the heart of the desert. From the crest of a high dune, watch the sun cast its orange glow over the vast expanse of rippling sand all round you as it sets. Like a shimmering mirage in the distance you will see the flickering lights of your camp where a traditional Arabian welcome awaits you. The encampment conjures up images of the Arabian nights. Relax on comfortable low cushions in Bedu tents and quench your thirst, have your hands painted with intricate henna designs, experience a short camel ride, or just enjoy the aromatic shisha. A feast of grilled meats, fresh salads and delectable Arab sweets is served and under a galaxy of stars, you will be entertained by the bewitching belly dancer swaying to the haunting strains of Arabian music. You won’t want this enchanting evening to end. Today you have a full free day! You can spend the morning relaxing at the poolside or the room. In the early afternoon you may go out shopping till you drop. In the evening what could be more enchanting than dinner aboard a dhow as it slips silently along Dubai Creek by moonlight? 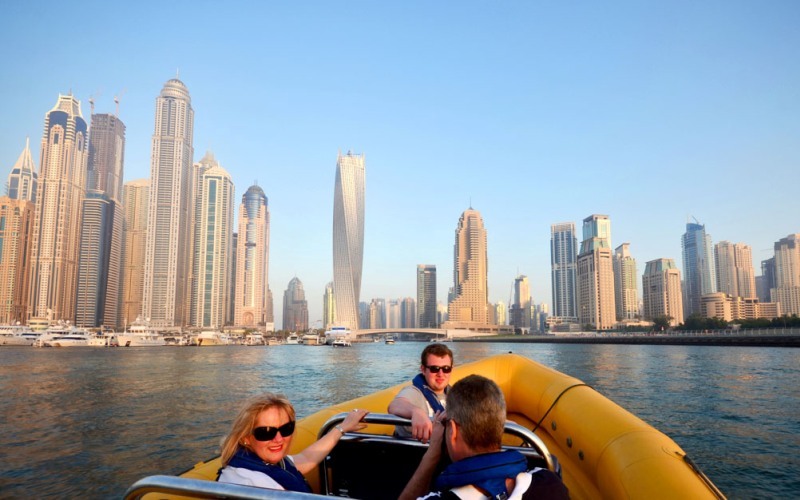 Your cruise aboard one of these traditional wooden vessels offers an intriguingly-different view of this amazing city – a portrait of the true character of Dubai, the intertwining of traditional and modern. Breakfast at the hotel; thereafter transfer to the airport in time for your flight. • The above mentioned rates are per person sharing. Enquire for a sole Traveler. • There will be Tourism Dirham fees per room per night on every Booking, about $2. Guests are oblige to pay directly to the Hotel upon Check-in. • Flights & hotels are subject to availability and change without notice. • Flight pricing is subjected to change without notice. Copyright © 2018. Jeanah Ventures Limited. All Rights Reserved.